All of our items are handmade with love by Lily in her smoke free and pet-friendly home studio. We are based in The Netherlands. * Under our standard shipping costs, a tracking number will be provided once your package is shipped. Your tracking number will be sent to you via email. *Under our standard shipping costs, a tracking number will be provided once your package is shipped. Yes! Every order over €150 automatically receives free shipping! We’re always open to your ideas! Please contact us for a quote. At the moment our favourite fabric to work with is 100% wool felt. You’ll see that almost everything in our shop is made with wool felt. 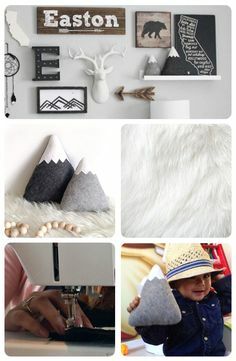 Wool felt is made from natural wool fibers harvested from sheep. These fibers are a renewable resource; they grow back! 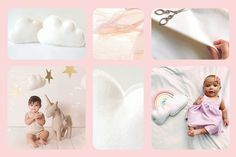 Wool felt is also 100% biodegradable, non-toxic, inherently fire retardant, naturally hypoallergenic and meet the latest European toy safety standards EN71-2 and EN71-3. Amazing right?! What if you don't have a color I want? Custom products are available in a variety of colors. If you don’t see the color you want, please contact us for a customization quote. We happily supply frequent discount codes to our email subscribers. Want a discount code now? Get an instant 20% discount by clicking here!